Net Fabric Used in 2011: 102.0 yards. This weekend I worked on my Sugar Plum Stars UFO. I have the center 4-patches done and started working on all the Snowball blocks that form the star points. 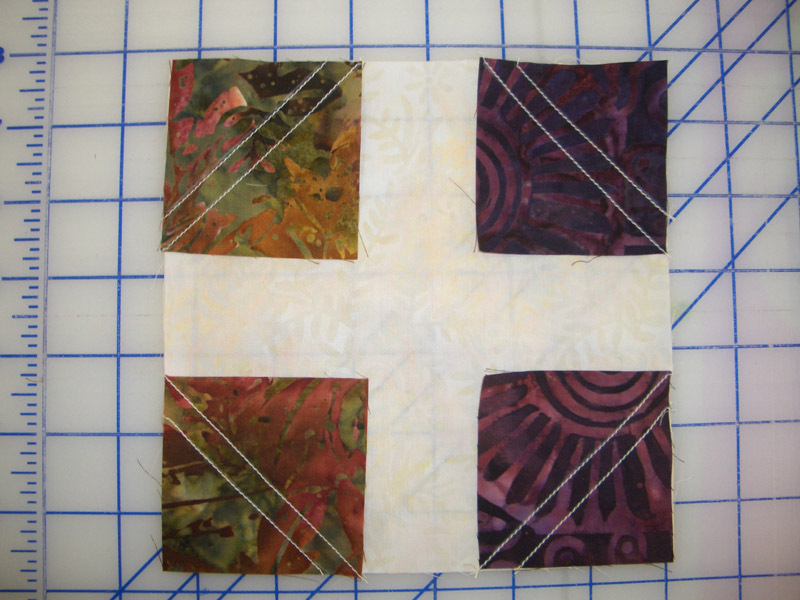 This is one of the snowball blocks and using a tip from Bonnie Hunter, I sewed a second seam about 3/8" away, trimmed, and had a whole bunch of 2" half square triangles to use somewhere down the line in another project. I hate to waste beautiful batik fabrics! Below are the finished Snowball blocks and all the bonus half square triangle pieces. 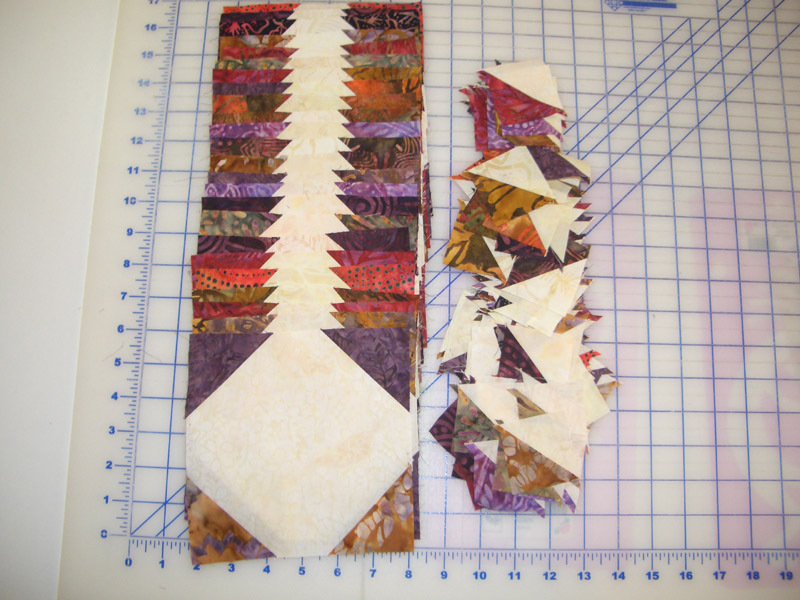 I am really liking how this quilt is coming together. Will share more pictures later this week! 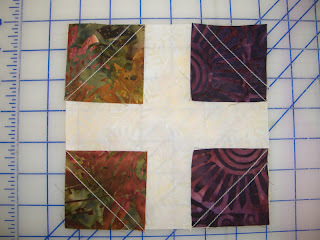 Don't forget to check out all the other Stash Reports at Patchwork Times!